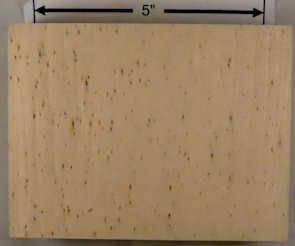 3" x 3" flat cut, 3" x 3" quartersawn, 3/4" wide end grain, and a 1/4" x 1/4" end grain closeup. 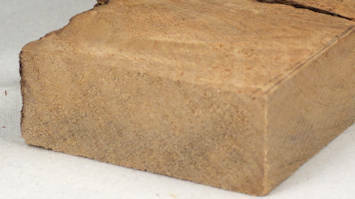 Diffuse porous with very small pores, marginal parenchyma. 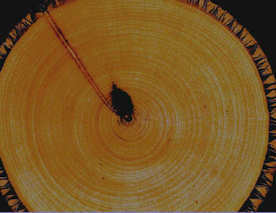 Rays are obvious at 10X and growth ring boundaries are clear. 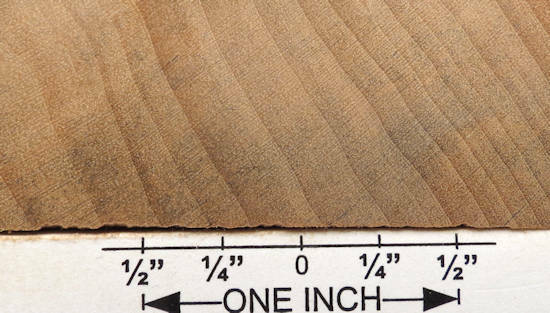 Although somewhat boring because of the uniformity of the grain pattern (there sometimes almost isn't one), this is a favorite wood of carvers BECAUSE it has a very uniform grain. 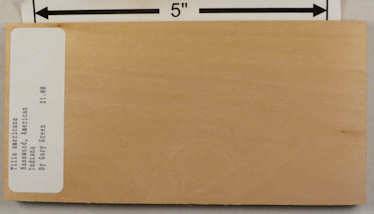 For pieces that are going to be painted after carving, it's a great wood but if you want a wood that has some character, this isn't it. 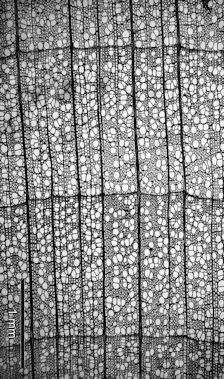 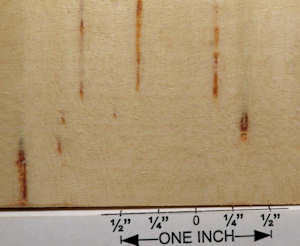 both sides of a sample plank of little-leaf linden / Tilia cordata --- HUGE enlargements are present. 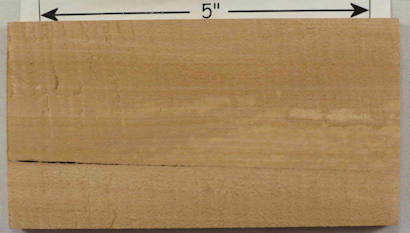 This sample was loaned to me by David Clark whom I thank for this and other contributions to the site. 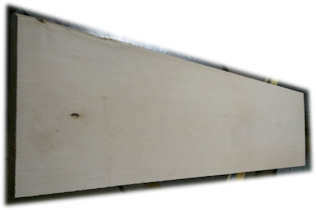 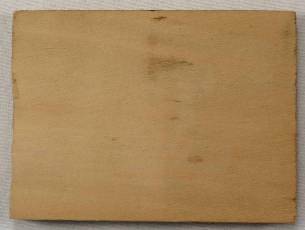 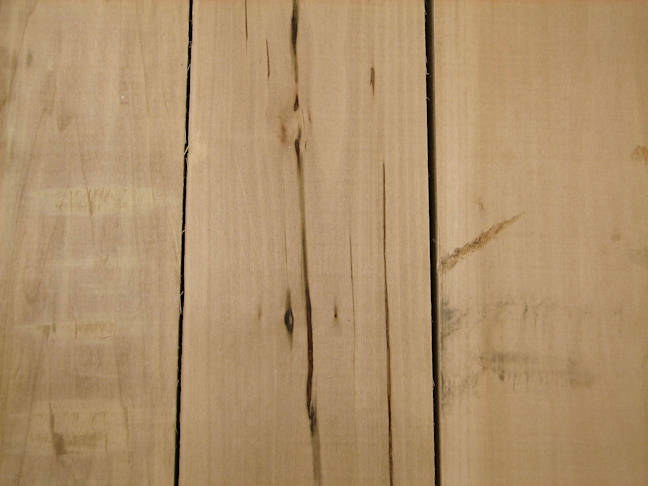 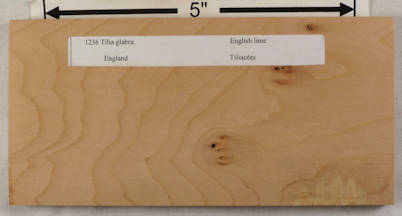 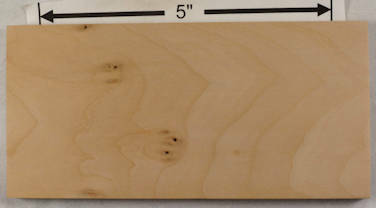 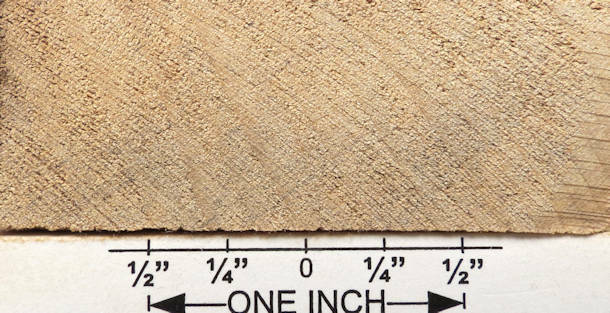 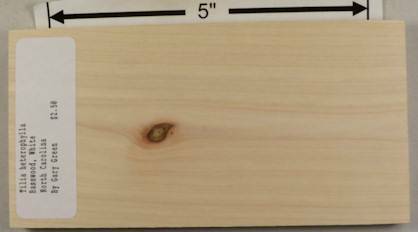 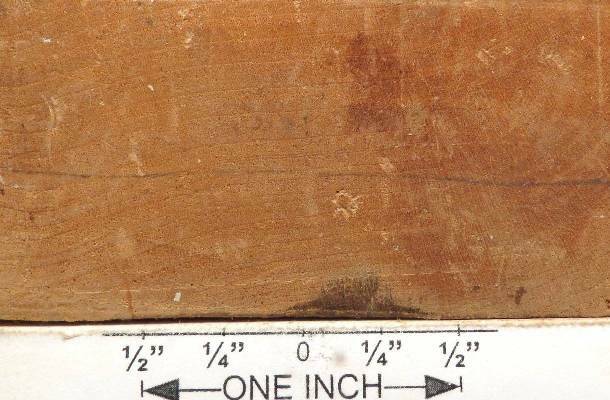 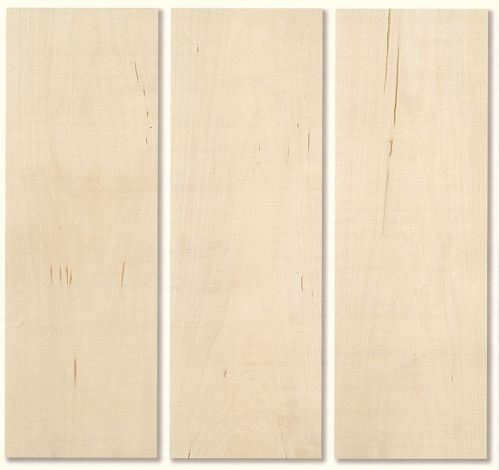 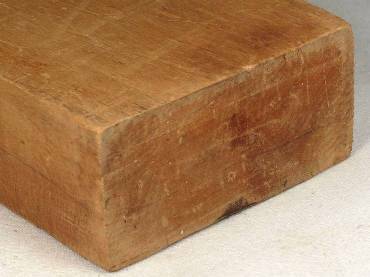 both sides of a sample plank of English lime / Tilia glabra --- HUGE enlargements are present. 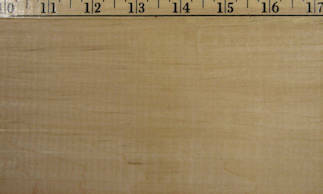 This sample was loaned to me by David Clark whom I thank for this and other contributions to the site. 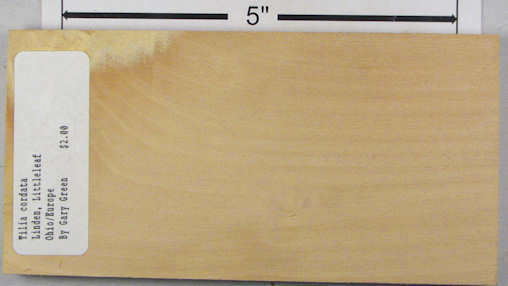 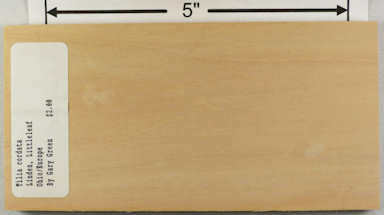 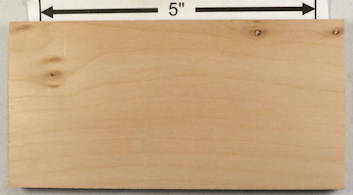 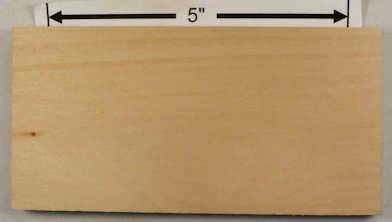 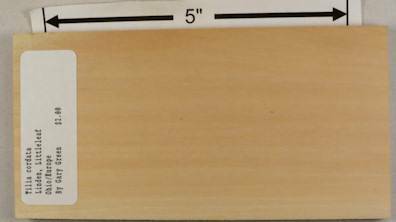 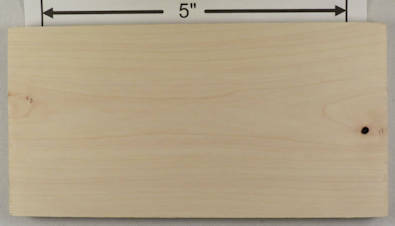 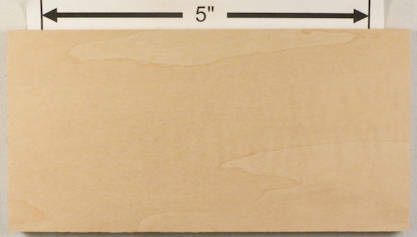 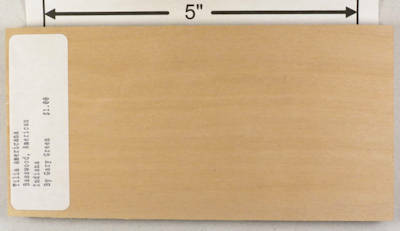 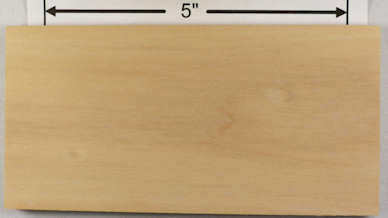 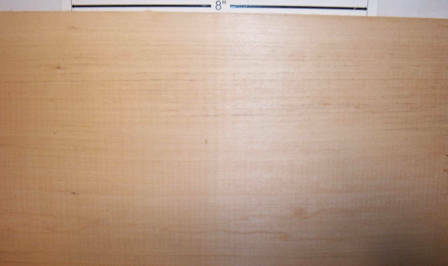 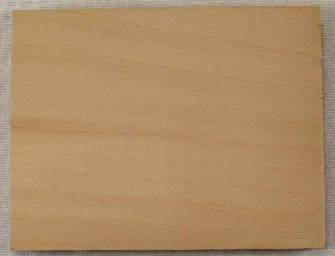 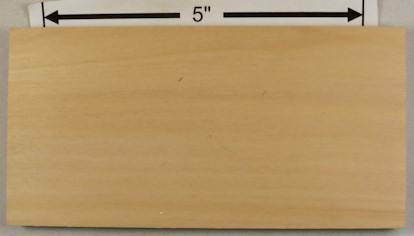 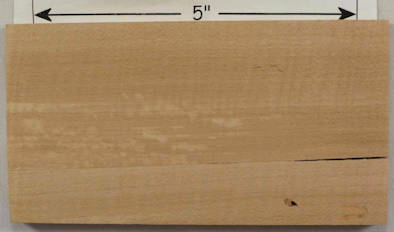 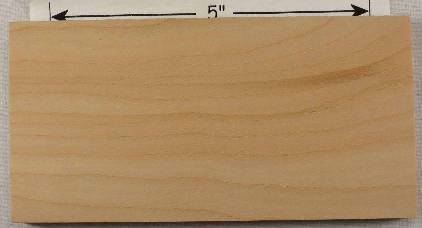 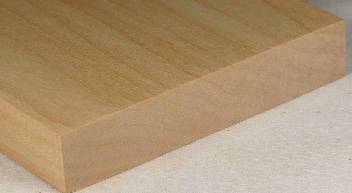 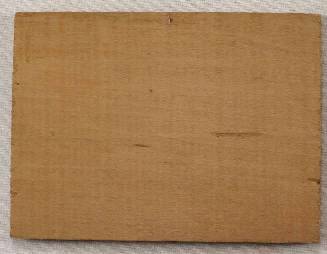 both sides of a sample plank of basswood (english lime) / Tilia glabra --- HUGE enlargements are present. 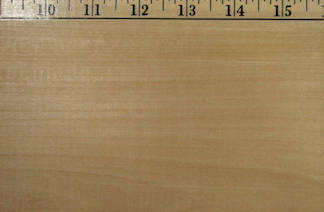 This sample was loaned to me by David Clark whom I thank for this and other contributions to the site. 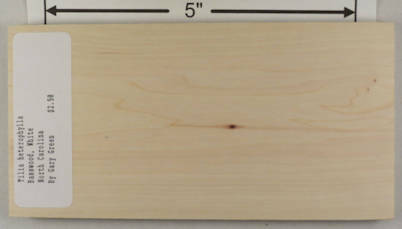 both sides of a sample plank of white basswood / Tilia heterophylla --- HUGE enlargements are present. 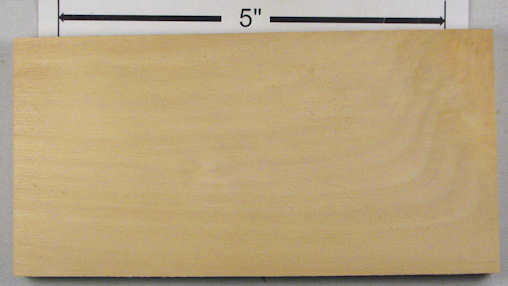 This sample was loaned to me by David Clark whom I thank for this and other contributions to the site. 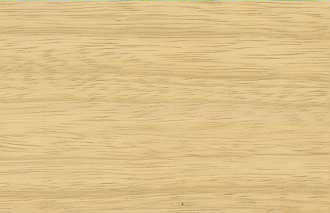 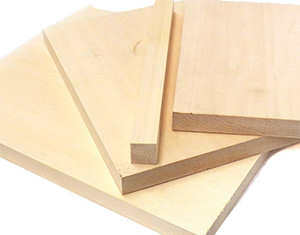 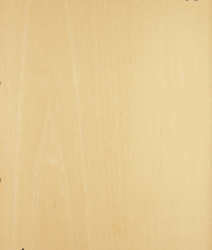 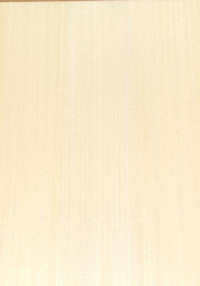 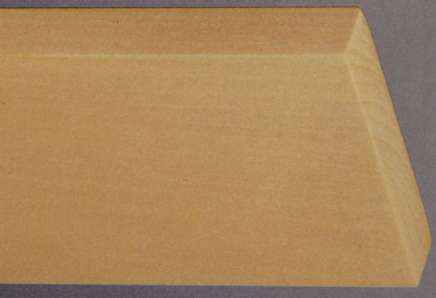   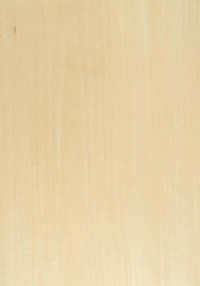 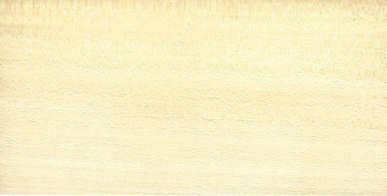 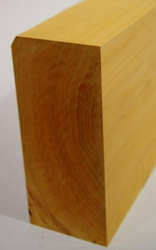 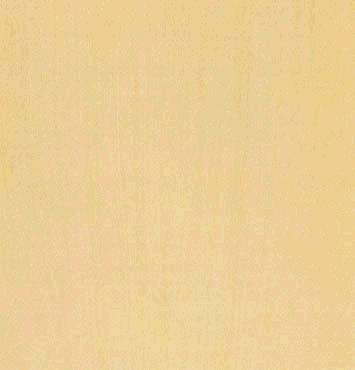 planks --- the relatively tan color of this set compared to the slightly more white color of the set below is correct. 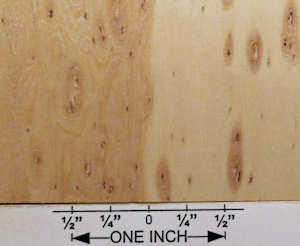 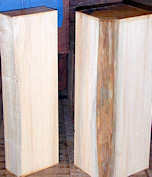 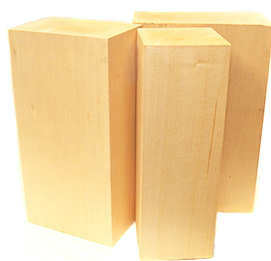 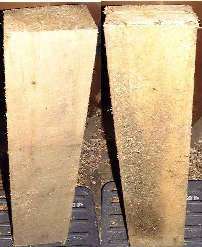 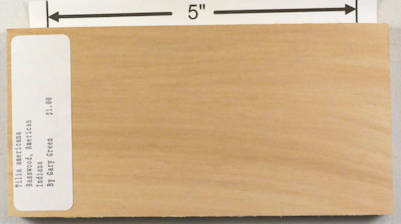 Although bought at the same time, the two lots (one was 1/4" thick and one was 1/2") were clearly from different trees. 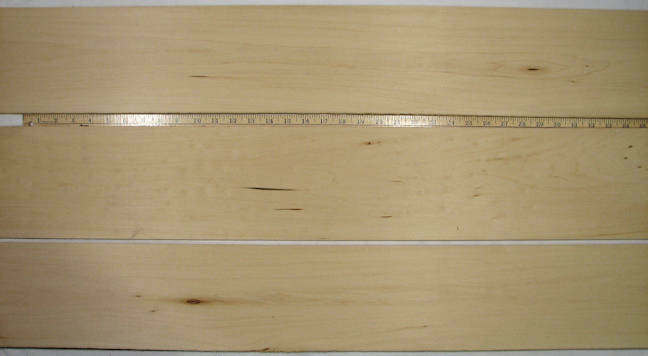 both sides of a sample plank of Carolina basswood / Tilia americana var caroliniana --- HUGE enlargements are present. 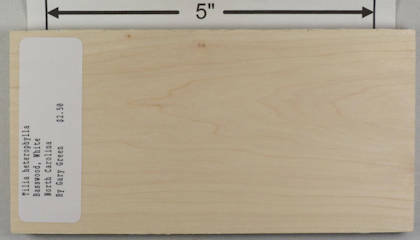 This sample was loaned to me by David Clark whom I thank for this and other contributions to the site. 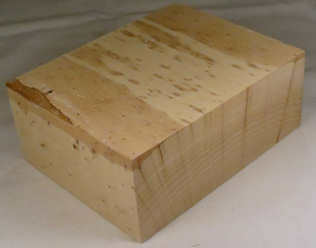 NOTE: this is NOT a Tilia at all. 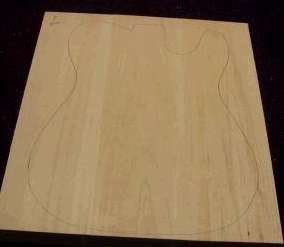 I'll get it sorted out eventually. 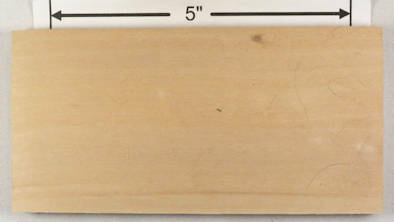 both sides of a sample plank of American basswood / Tilia americana --- HUGE enlargements are present. 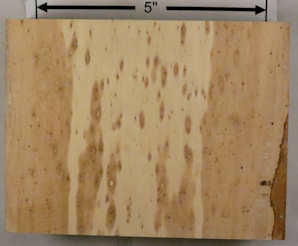 This sample was loaned to me by David Clark whom I thank for this and other contributions to the site. 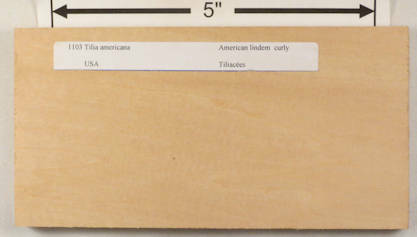 both sides of a sample of basswood / Tilia americana. 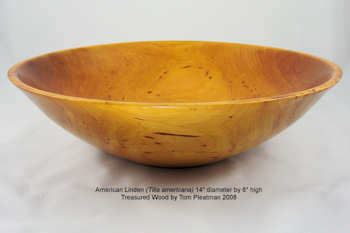 This part of a collection which is discussed here: COLLECTION A and is one of the few pieces from that collection that were too skinny to do end grain pics. 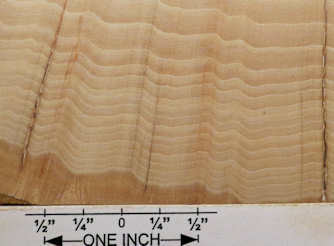 both sides of a sample plank of curly American linden / Tilia americana --- HUGE enlargements are present. 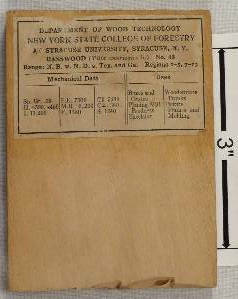 This sample was loaned to me by David Clark whom I thank for this and other contributions to the site. 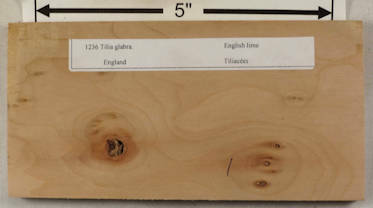 I note that the vendor has the name as "lindem" which is just weird, but typical of the utter carelessness of this vendor when it comes to labels. 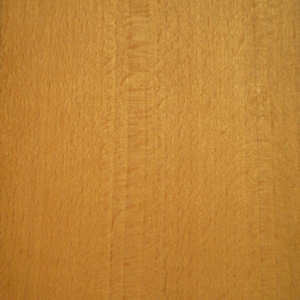 Although the curly is VERY weak, it IS there. 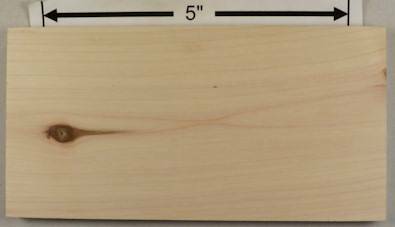 both sides of a sample plank of English linden / Tilia platyphyllos --- HUGE enlargements are present. 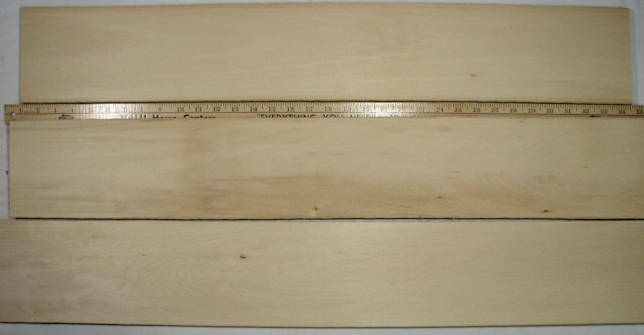 This sample was loaned to me by David Clark whom I thank for this and other contributions to the site. 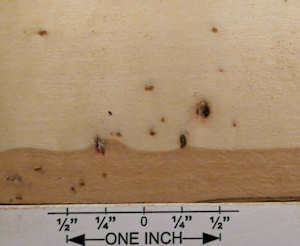 both sides of a cutoff with some blue stain (possibly mineral stain) and a little white rot. 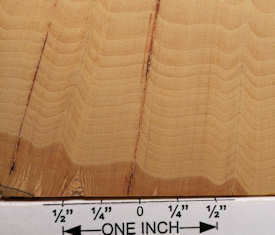 This was sent to me for ID by Clayton Ellis of the Wood Barter forum. 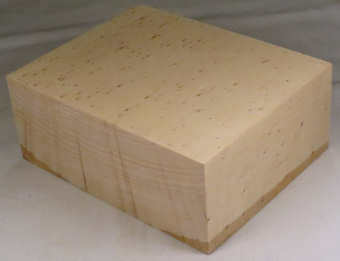 I Identified it as basswood / Tilia spp. 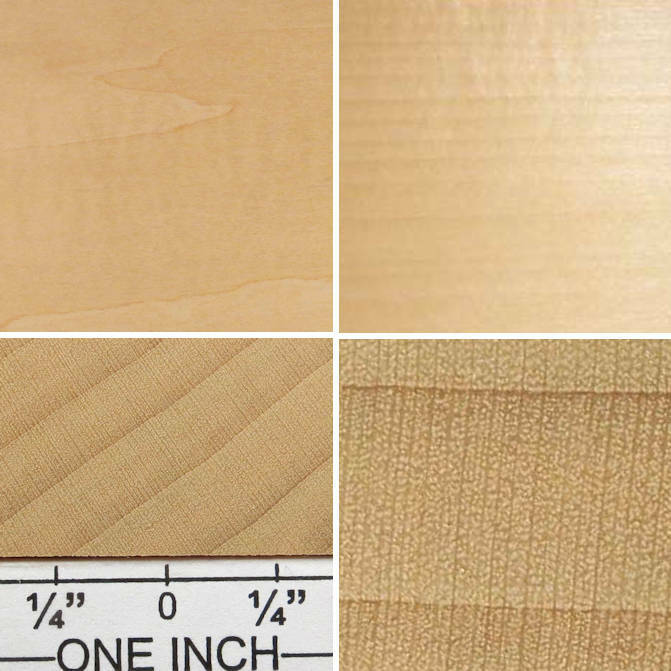 The pics in this section are all of the same small chunk of "dimpled" basswood generously contributed to the site by Rob Mathison, whom I thank for this and other contributions to the site. 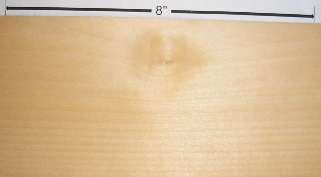 Rob calls it "dimpled" (and I can't think of any better description) because it has dimples in the face grain that are caused by an effect inside that is very similar to (perhaps identical to) that of hard-wood "bear-claw" figure (seen also in red oak, hard maple, and others) where there are medulary rays that look almost like little in-grown branches inside the wood and that cause indented grain. 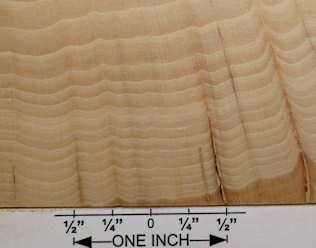 That is, some of the rays get very dark and dense, unlike the rays around them, and they distort the growth rings in the way that is called "indented grain". 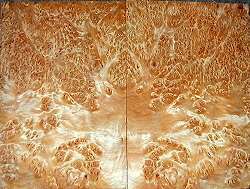 I have no idea what causes this, but it's a neat effect and I have posted more pics of this piece than I would normally have for a piece this size, to show the effect throughout. 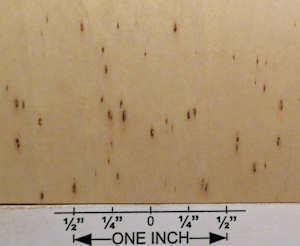 If anyone knows what causes this, I'd love to hear from you. 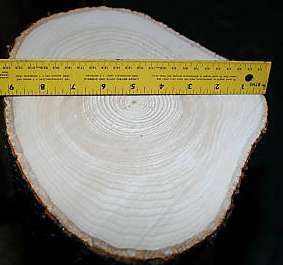 HUGE enlargements are present for all of these pics. 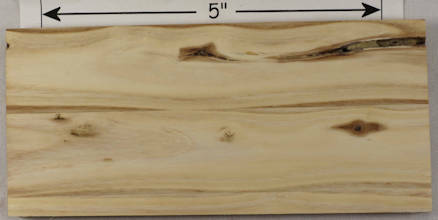 log section listed as "white basswood"
log end listed as American basswood / Tilia americana --- I'm doubtful about the color; the original was a ridiculous bright yellow which I have toned down in the hopes of making it look at least somewhat realistic. 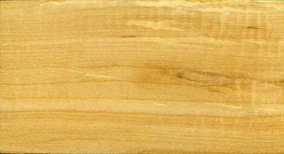 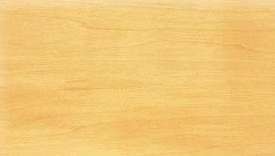 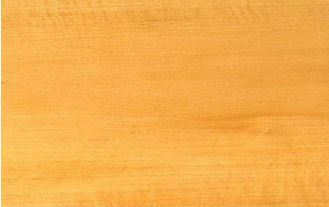 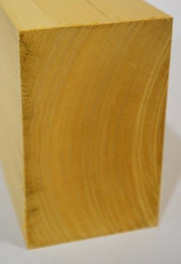 plank listed as linden / Tilia spp. 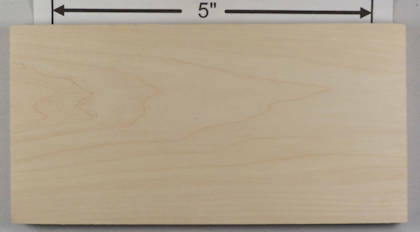 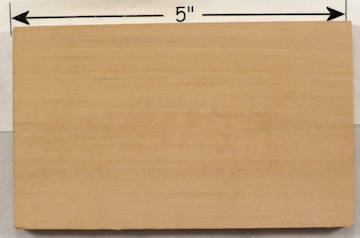 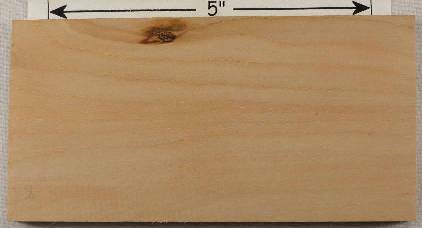 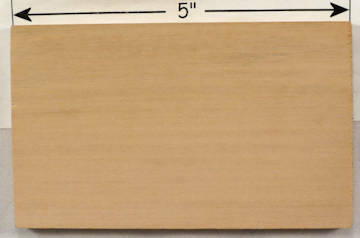 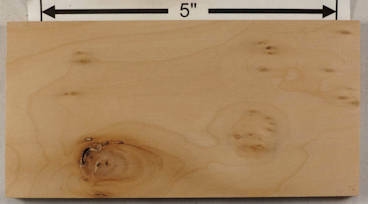 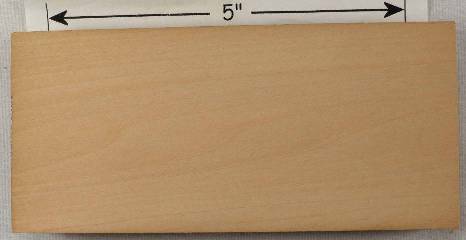 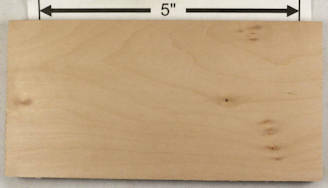 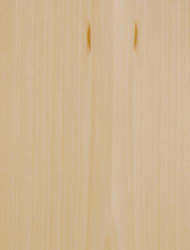 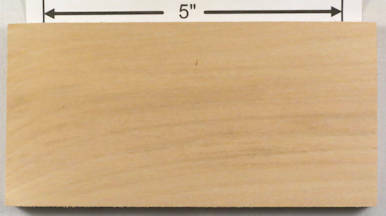 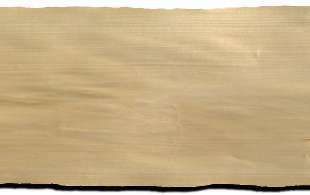 plank listed as basswood / tilia spp. 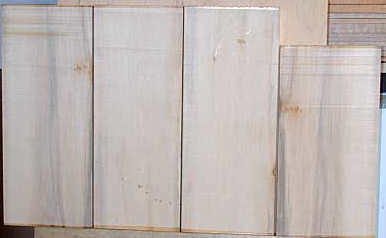 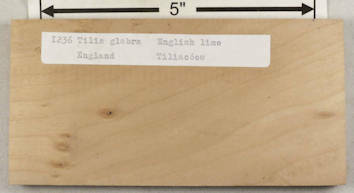 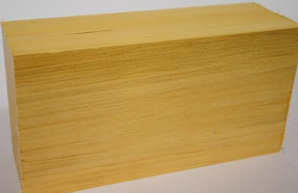 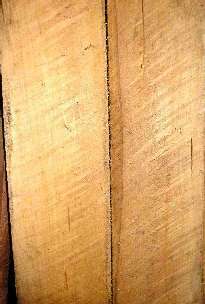 planks that were not listed with any common name but identified as Tilia spp. 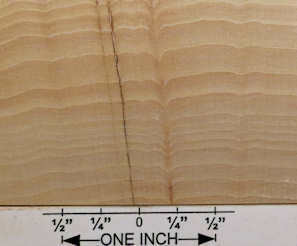 curly plank --- this is by far the most curl I've ever seen in basswood. 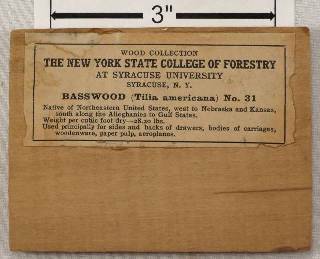 So much so, in fact, that I am doubtful that this IS basswood. 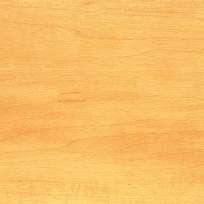 veneer that was listed as lime / basswood / linden / Tilia cordata / Tilia europaea / Tilia vulgaris --- well, I'd say that pretty much covers it, it's definitely wood. 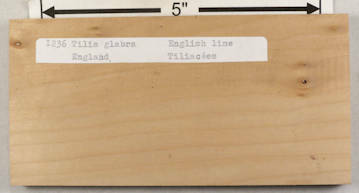 Actually, I'd guess the plethora of common names is to demonstrate that they are all used interchangeably and the the species mentioned could be called any one of the common names. 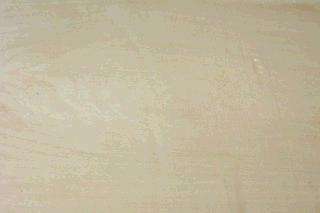 That's been my experience as well. 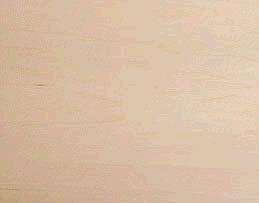 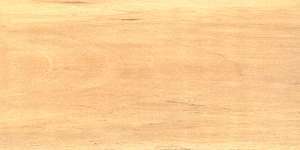 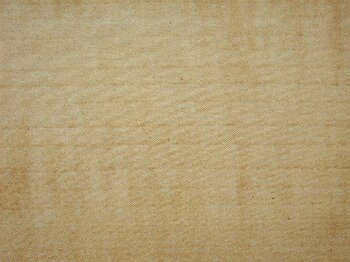 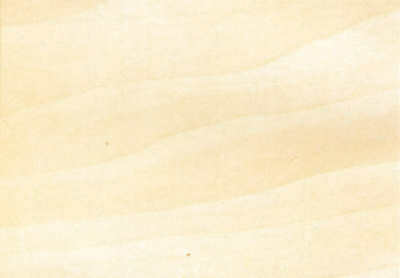 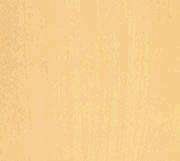 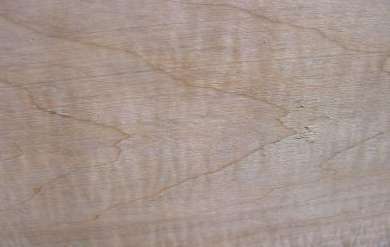 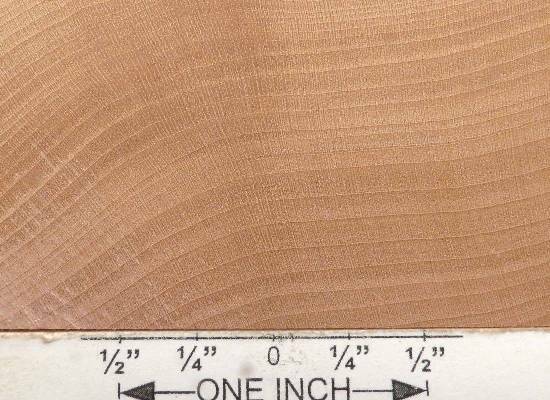 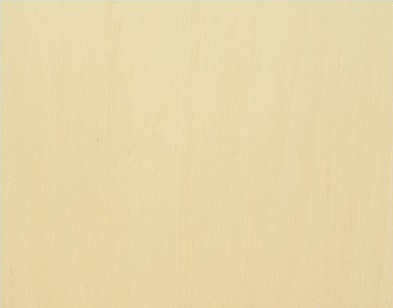 burl veneer --- boy, howdy ! 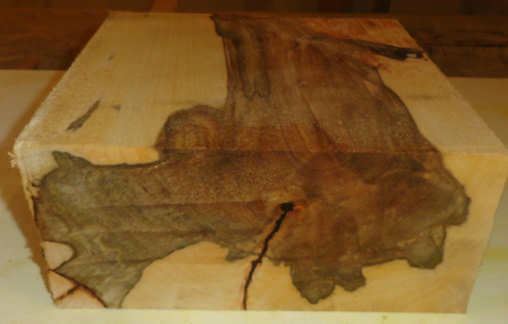 Now there's a burl that's at extreme odds with the normal wood of the same tree. 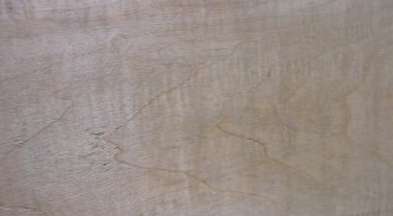 I've never seen basswood burl, so can't say from experience that that's what this really is. 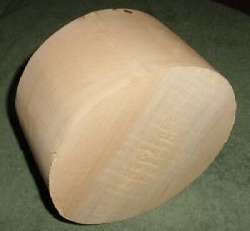 9" tall (and 3" wide) English lime vase by Steve Earis, who tells me he turned it so thin that you can see daylight through the side, and he is particularly pleased with it as it was his first vase. 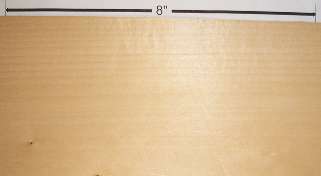 Both levels of enlargement are available, so you can see the grain quite clearly. 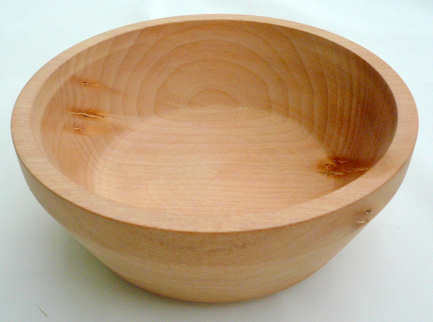 My thanks to Steve for this and many other contributions to the site. 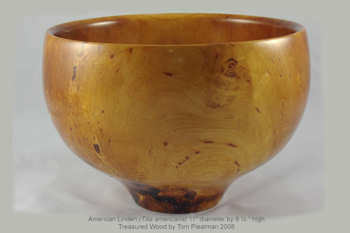 linden bowls turned and photographed by Tom Pleatman, whom I thank for these pics and other contributions to the site. 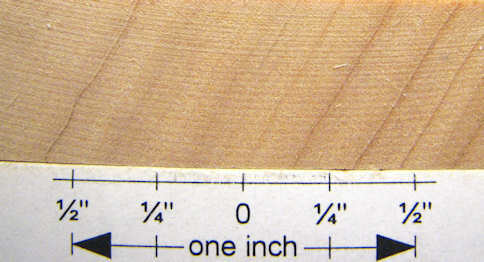 Big enlargements are present.